Rolling fields of blonde wheat twist past winding vineyards that cascade into a patchwork of yellow sunflowers, ruby poppies and green hills. 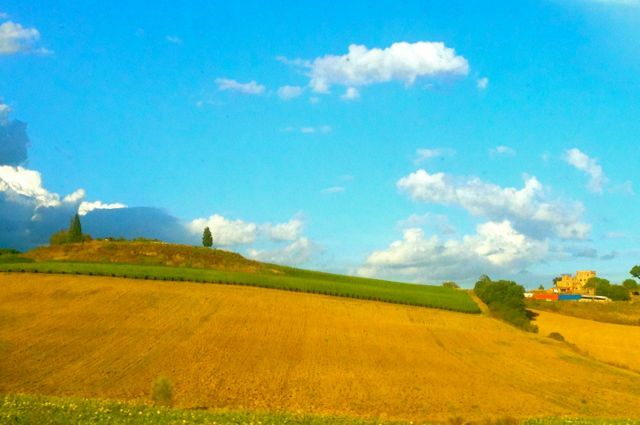 This is Tuscany, and, as I discovered first hand on my visit last year, it’s home to some of the finest Italian landscapes – well, actually some of the finest landscapes worldwide for that matter. Standing under the bright Tuscan sun, I fully understood why this land serves as the backdrop for many a Hollywood fantasy. While I love getting lost in the beauty of such stunning natural scenery, I’m also a huge history buff. For me, the makings of a truly great travel destination include both access to nature and history. Tuscany offers both. 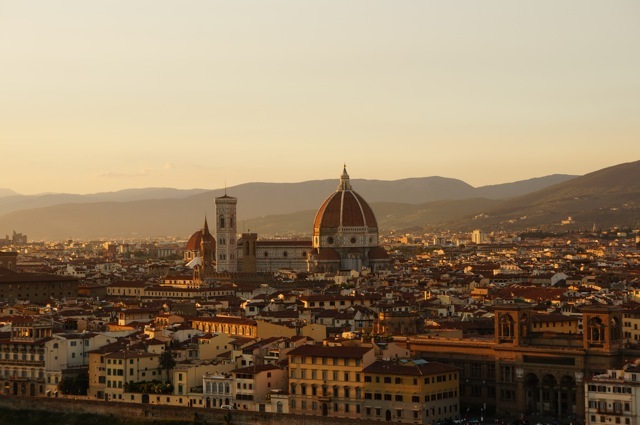 Beyond the countryside, Tuscany has three cities that each played a major role in medieval times and the Renaissance – Florence, Pisa and Siena. While Pisa may lean in the shadow of Florence’s name, I was delighted to discover during my visit that there is no shortage of history on hand in Pisa! 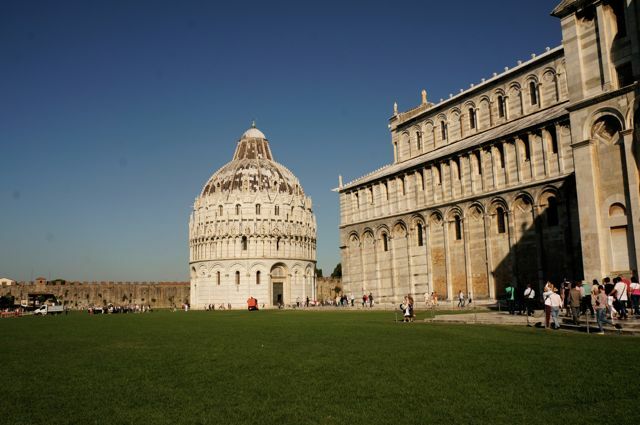 The origins of Pisa are unknown. During the Roman Empire it grew to prominence as a commercial center and port city. It remained an important merchant city in the medieval ages, but began a decline in importance in 1284 after losing a battle, and therefore trade rights, to Genoa, an Italian city in the North. The city suffered great destruction during World War II, however in more recent years much work has been done to restore the city’s most historical sites. 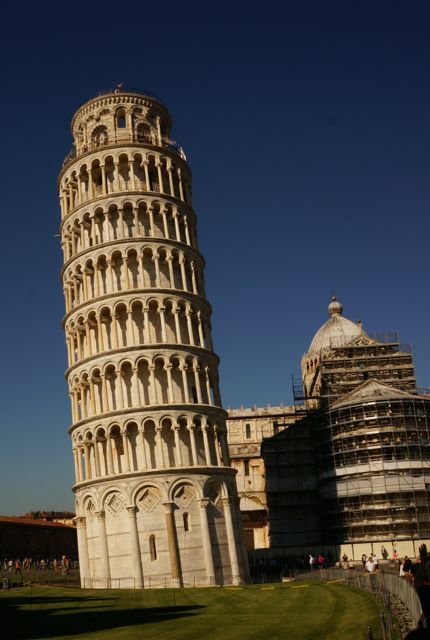 Pisa is of course most famous for its Leaning Tower of Pisa, or torre pendente di Pisa in Italian. Constructed beginning in 1173, upon its completion some 200 years later, the tower was the highest bell tower in Europe and considered a miracle of medieval engineering. The tower consists of 207 columns and is eight stories high. Today the tower tilts at an angle of 4 degrees because the ground it was built upon is soft and not strong enough to support the weight of the tower. The tower is just one of the historical monuments found in the Piazza del Duomo. Known as Miracle’s Square, the plaza is home to the Cathedral of Saint Mary of the Assumption, a baptistery and cemetery. These works of architecture back to the 11th through 14th centuries and had a profound influence on medieval architecture. The plaza is now a UNESCO World Heritage Site. Beyond Piazza del Duomo, the Arno River cuts through Pisa. The Arno Promenade, marked by red and yellow homes, runs along the river. A Walk along the promenade leads past such prominent medieval buildings as the Medici Palaca, Toscanelli Palace and the church of San Matteo. For shopping in the center of history, Via Francesco Crispi is a great that leads past a plethora of shops, both new and old. 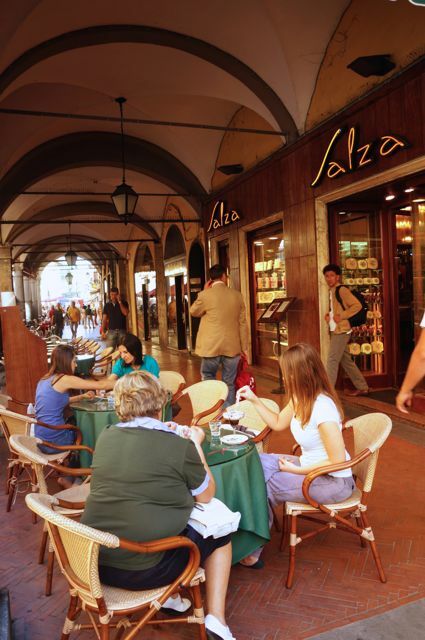 While exploring this street stopping in at Federico Salza is a must. This bakery, dating back to 1898, and has some of Pisa’s most delicious offerings. 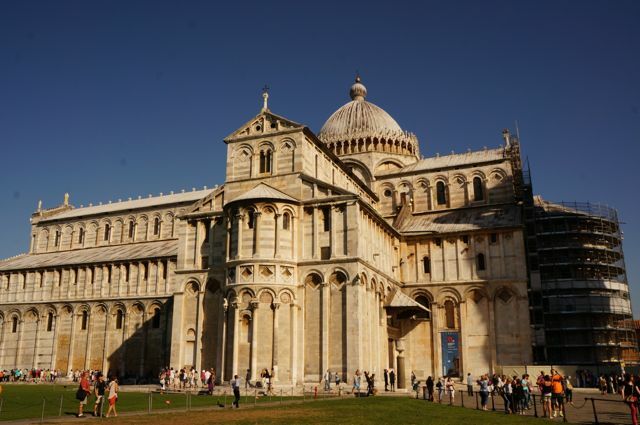 With medieval architecture, the world’s most famous tower and historical treats, Pisa is a must-visit destination for history-lovers, all while being in the center of Tuscany, one of Italy’s most beautiful regions. Nice! 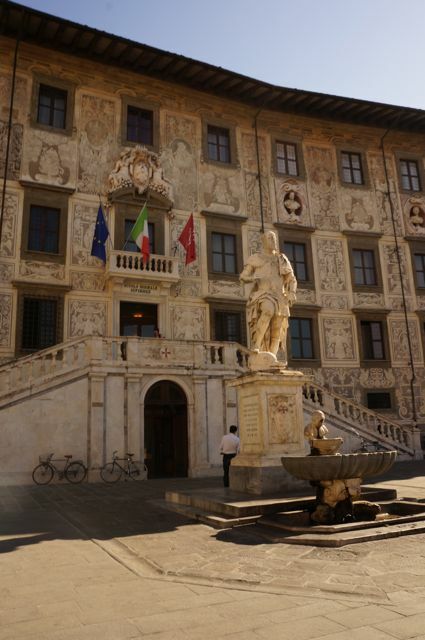 Pisa is so much more than the tower. Glad you enjoyed it. 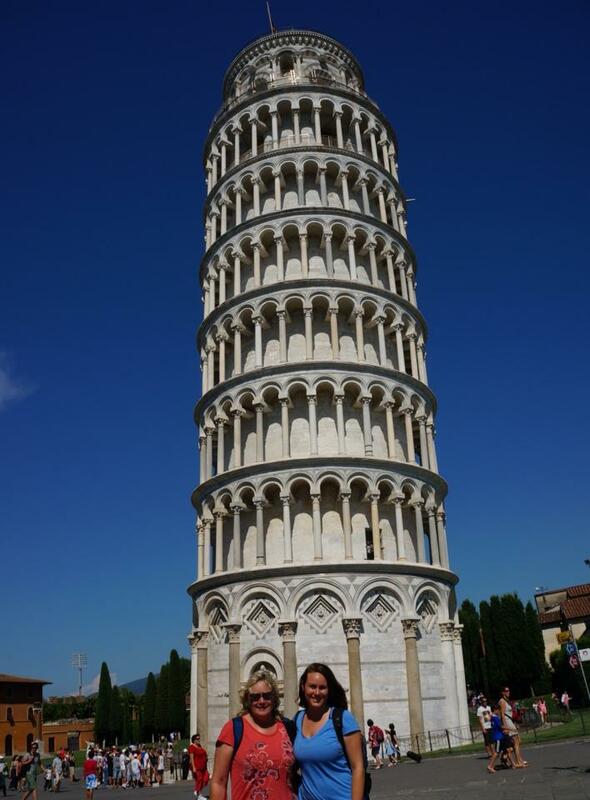 It is very true- Pisa is much more than the tower. Thanks for stopping by! This is the place not only for the archeologists but also for the families most because there is a charm and peace in all such monuments that you feel in side if these and remind us the time when they did not have the latest technology and the methods to build such huge buildings. 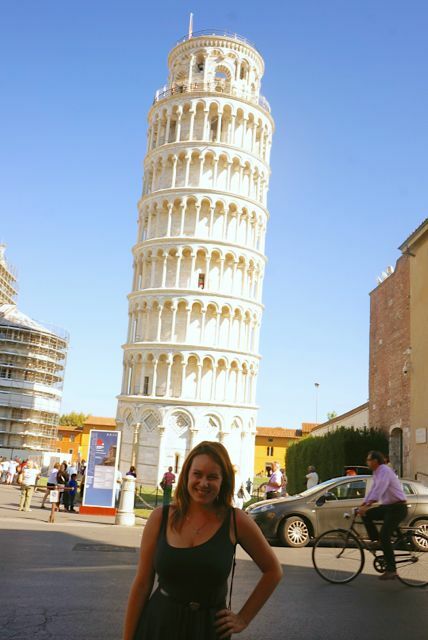 I visited the most renowned place on the earth and thanks to http://www.tripindicator.com/view/attractions/pisa.html that they helped me in discovering the beauty and the self esteem that is hidden in every ones heart.